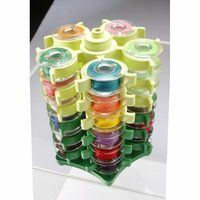 Take control of your sewing machine bobbins! 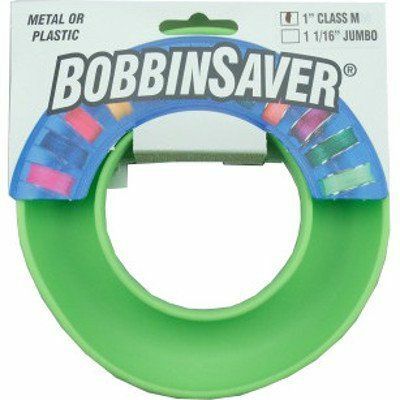 The BobbinSaver™ organizer holds larger bobbins, such as Style M. If your bobbin is roughly the size of a quarter, it will fit this holder. 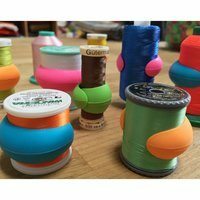 Shaped like a hollowed out donut, it's made of flexible rubbery plastic that expands to hold the bobbins nice and snug. 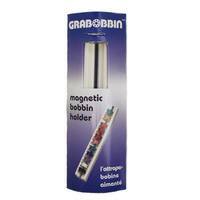 The bobbin organizer easily holds over 20 bobbins securely.